West Indies 6-137 (Marlon Samuels 78, Darren Sammy 26*, Ajantha Mendis 4-12) beat Sri Lanka 101 (Mahela Jayawardene 33, Nuwan Kulasekara 26, Sunil Narine 3-9) by 36 runs. 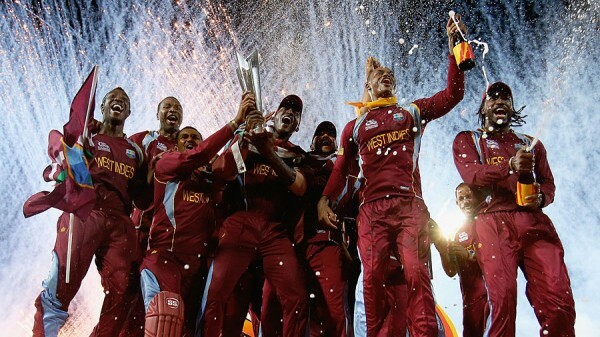 West Indies sparkled in the final of the ICC World Twenty20 2012, well led by Marlon Samuels, routed Sri Lanka and won the coveted trophy with a real team work. West Indies scored 137 runs with four wickets in hand at the end of the allocated 20th over. The Sri Lankan batsmen were unable to give a fight and their innings was folded back for 101 runs in 18.4 overs. Marlon Samuels (West Indies) was declared ‘Player of the match’ for his powerful batting under trying conditions. Shane Watson (Australia) was declared ‘Player of the series’ for his all round performance in the tournament. He was the highest scorer while thrashing 249 runs at an excellent average of 49.80, the best of 72 with 3 fifties. The 31-year-old was the second highest wicket taker by grasping 11 wickets averaging 16.00 runs per wicket with the best of 3-26. Watson was declared ‘Player of the match’ consistently four times in the championship. The final of the ICC World Twenty20 was played on Sunday, October 7, 2012, at R Premadasa Stadium, Colombo. Earlier, Darren Sammy, the captain of West Indies, won the toss and opted to bat first. They had a disastrous start as the first wicket was lost on the fifth ball of the innings when Johnson Charles was gone without having a run on board. The batsman in-form, Marlon Samuel, joined in with the hard hitting Chris Gayle. They found it hard to score the runs against accurate and dangerous bowling by the Lankan Lions. The score crept to 12 after five overs when the Windies faced another big blow as their supreme batsman, Gayle, was declared leg before wicket off Ajantha Mendis for just 3 runs off 16 balls. Dwayne Bravo came in the centre next, associated with Samuel and the score board started moving slowly. Bravo hit the first six of the innings that was the second boundary for the Caribbeans in 12 overs. Samuels decided to have a go at the rival bowling before it was too late and dispatched 3 huge sixes in the 13th over bowled by Lasith Malinga. Ajantha Mendis struck again when the smooth going Bravo was declared lbw for 19 as the total reached 73 in 14 overs. Marlon Samuels took over again as the wickets kept on sliding from the other end at the regular intervals. He hit his fifth T20 fifty on the third ball of the 15th over with a mighty six and added 12 runs in the over. Samuels once again punished Malinga for 18 runs with 2 sixes and 1 four in the 17th over and the hundred of the innings also appeared on board. He was caught at deep midwicket by Jeevan Mendis off Akila Dananjaya for 78 off just 56 deliveries with 6 mega sixes and 3 fours. The visitors reached 6-108 in 17.1 overs as Darren Sammy accumulated 26 unbeaten runs off 15 balls with 3 fours. West Indies enhanced the score to 137 for the loss of six wickets at the end of the 20th over. Ajantha Mendis delivered a fabulous bowling spell in the important final and grabbed 4 wickets for 12 mere runs in his four overs whereas Angelo Mathews and Akila Dananjaya shared one wicket each. Ajantha Mendis was the highest wicket taker in the event by clinching 15 wickets at an awesome average of 9.80 runs per wicket with the best of 6-8 runs. The Lankan Lions did not have a better beginning of their innings either as Tillakaratne Dilshan was clean bowled on the first ball of the second over for a duck. One of the best batsmen of the current era, Kumar Sangakkara, got together with his skipper, Mahela Jayawardene, who was dropped by Dwayne Bravo at deep backward square leg off Marlon Samuels at five runs. The duo put their heads down, kept the score board moving and reached 30 after the first six overs. The second wicket contributed a hard fought 42 runs and took the score to 48 in 9.3 overs when Kumar Sangakkara was brilliantly caught by Kieron Pollard at deep midwicket off Samuel Badree for 22. The problems for the home team were multiplied when three runs later, the stumps of the new batsman, Angelo Mathews, were uprooted by Darren Sammy. That was the beginning of the tragedy for the Islanders and the wickets started falling like ninepins at regular intervals. Mahela Jayawardene became the next victim after scoring 33 runs off 36 with 2 fours and Sri Lanka was reeling at 7-69 in 14.3 overs. Nuwan Kulasekara gave some hope with his short explosive knock of 26 off 13 with 1 six and 3 fours. The entire Sri Lankan team was bundled out for 101 runs with eight balls to spare. Sunil Narine was the star performer with 3 wickets for just 9 runs in 3.4 overs, Darren Sammy held two whereas Samuel Badree, Ravi Rampaul and Marlon Samuels claimed one wicket each.